Virtual Video Survey is a cloud based platform for conducting virtual pre-move surveys via 2-way video chat with recording. We offer it as a convenient survey app add-on, modestly priced to justify a couple of advantages over free options. Transferees get invited to the video using branded SMS or email. Having the ability to record the video gives you the option of estimating live or completing the video walk-through first and then entering the inventory from a recorded video. 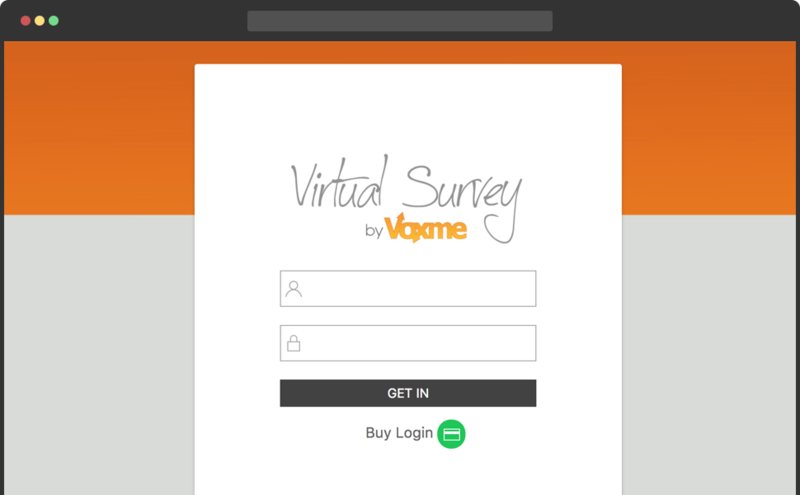 Survey details can be captured using tried and true Voxme Estimator or any other survey app. Estimator users benefit from real-time transfer of item and residence access photos from live or recorded video to the app. Other survey systems can also access snapshots from the video. Reasonably priced to compliment real survey solutions. Avoid traffic congestion in London, New York, Toronto, Tokyo, LA and other urban areas.